There's a buzz around bees! Visit the screened in Bee House to view our active honey bee hive. 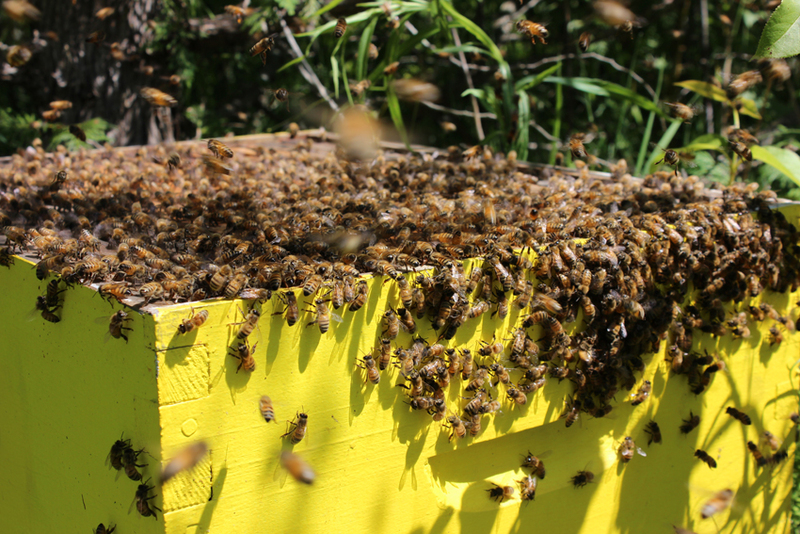 Did you know that one bee has to fly about 90,000 miles – three times around the globe – to make one pound of honey? You can purchase Wye Marsh honey at our gift store, as well as other locally souced honey and beeswax products. Interested in seeing into the life of a bee? This Ted Talks is brilliant. This video is only 6 minutes long and really worth the time. Please check this out! We found it to be an enlightening video.